Luxury cruise vacations are more than special. They are like staying at Buckingham Palace instead of a nice hotel because you are treated like royalty on your luxury cruise. You may choose a romantic luxury cruise for your honeymoon or visit a destination only a luxury ship can reach, or maybe you just want to enjoy all the pampering and the five-star cuisine. CruiseExperts.com knows the luxury cruise vacation industry from top to bottom. The best luxury cruises offer all-inclusive pricing with its many perks. Leaving soon? Click here to browse last minute cruises. While it may seem more costly if you look only at the fare price, when you add in the included wine, spirits, dining, excursions, gratuities, and other benefits, you are getting a lot of value for each dollar. Some vacationers also enjoy not having a large bill to pay at the end of the cruise. 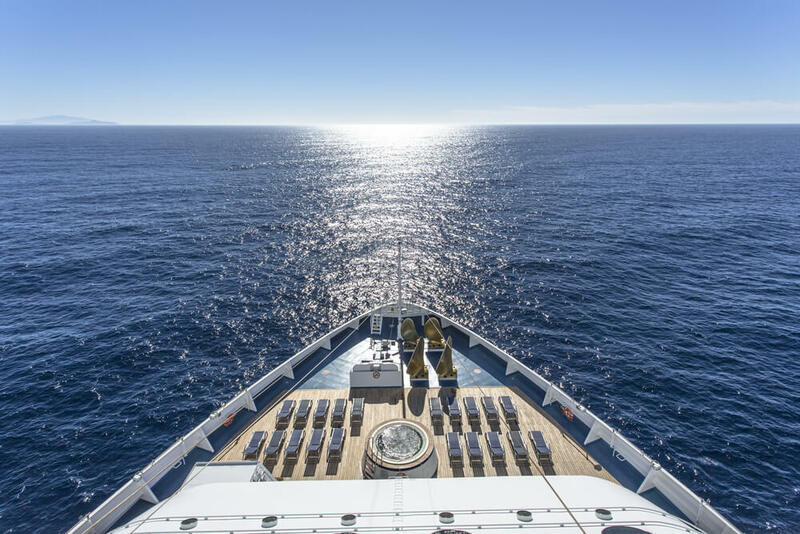 Below are some of our favorite luxury cruise lines. Check them out! Check out this Crystal Cruises 6 Night Australia Cruise departing from Sydney, Australia with port stops in Sydney, Newcastle, Hardy Reef, Hamilton Island, and Cairns. Have you been dreaming of a European vacation? Book this 12 Night Northern European cruise departing from Southampton, England with port stops in Edinburgh and Glasgow, Scotland, Belfast, Northern Ireland, Holyhead, Wales, Liverpool UK, Dublin and Waterford, Ireland, Portland and London UK.